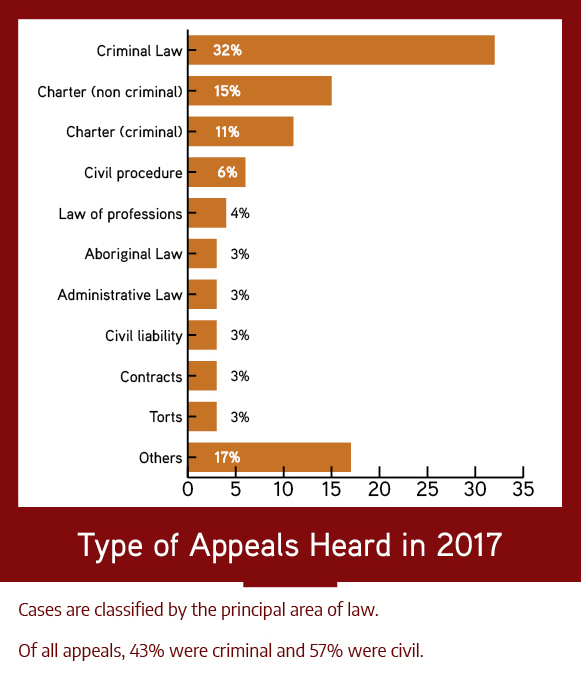 Cases are classified by the principal area of law. 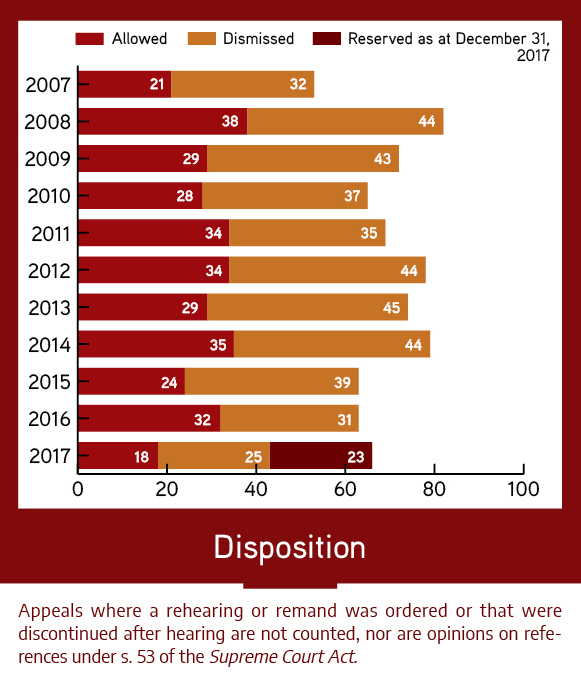 Of all appeals, 43% were criminal and 57% were civil. 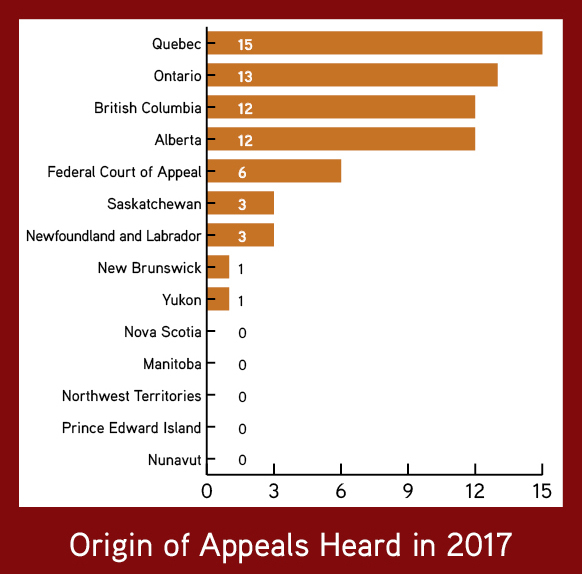 Appeals where a rehearing or remand was ordered or that were discontinued after hearing are not counted, nor are opinions on references under s. 53 of the Supreme Court Act.